The original circuit, which opened in June 1907, was designed by Col. H.C.L. Holden to comprise a large banked oval circuit bisected by a finishing straight. In order to ensure safety at high speeds, the 2 ¾ mile long track was 100ft wide with two long straights joined by two sections of banked curve up to 30ft high. The track was built from unreinforced concrete which proved not to be robust enough and required continual repairs. The Finishing Straight is a convention borrowed from horse racing (along with terms such as Paddock, Clerk of the Course and handicapping) designed to bring the excitement of the end of a race to the crowds centred around the grandstands and Clubhouse. 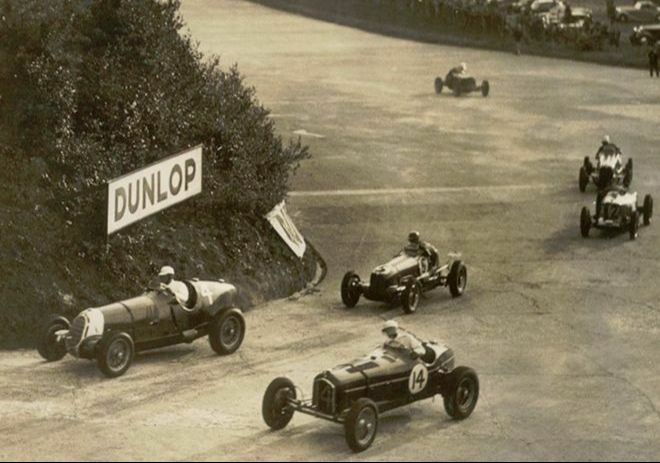 From 1930, races on a smaller section of the track known as the 'Mountain Circuit' were introduced by the new Clerk of the Course, Mr A Percy Bradley. This fast and furious 1¼ mile lap running from the Fork to the rear of Members’ Hill and back, provided a cross between road and track racing. It was a tough course for the drivers and a stern test of acceleration, braking, and road-holding for the cars. 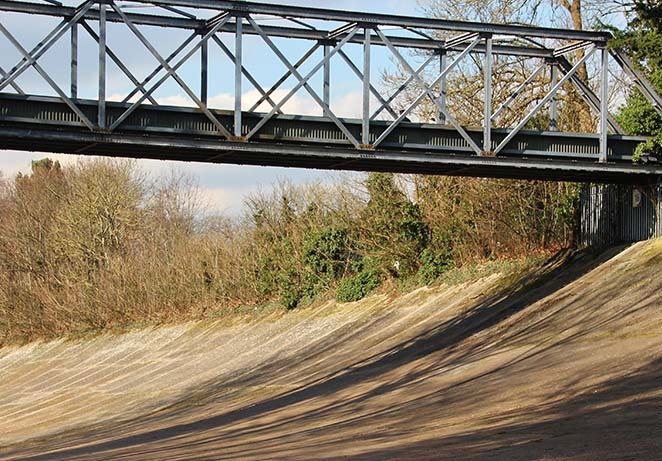 Until 1933, Brooklands was unchallenged as the only motor racing circuit in mainland Britain, but in that year the track at Donington Park in Derbyshire was opened for car racing. Further competition came with the opening of a road-racing circuit at the Crystal Palace in South East London. 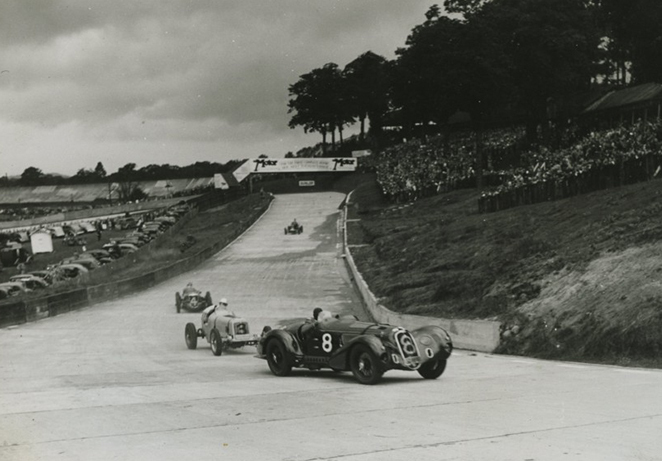 Facing up to this, the BARC decided to construct a new road circuit at Brooklands, providing the maximum road racing track possible, without intruding on the Outer and Mountain Circuits, the aerodrome or the famous sewage farm! 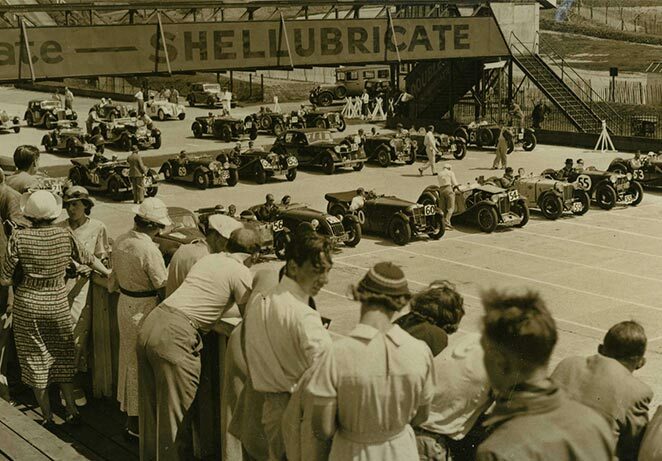 The new circuit, designed by and named after Sir Malcolm Campbell, zig-zagged its way across the centre of the motorcourse cleverly incorporating the old banked track. Opened in 1937, it proved popular with the increasing number of drivers who wanted to experience the thrills of this sport. Test Hill was built in 1909 as another facility to encourage use of the track for development and test work. It is 352 feet long and divided into three sections, starting with a gradient of 1 in 8, then 1 in 5 and the top third has a gradient of 1 in 4. It was used by manufacturers to test both the ability of cars to climb steep hills and also of their brakes to stop them coming down. As performance increased, cars and motorcycles driven at full bore inevitably ‘took off’ when they got to the top. This extra spice of danger made it an irresistible attraction to some of the Brooklands drivers and the Test Hill Record became a recognised institution until speeds got so high that there was not enough room at the top for a safe landing. The record climb in 7.691 seconds (an average of 31.277 mph) stood for nearly seven years until, on the 25th October 1932, R.G.J. Nash (no relation to Archie Fraser Nash) driving a Frazer Nash special called ‘The Terror’ established the all-time car record for Test Hill with 7.45 seconds (an average of 32.444 mph). ‘The Terror’ crested the rise at about 50mph and flew about 40 feet before landing! Although this was the ultimate Test Hill Record, irrespective of engine size, Gordon Lindsay Glegg drove the V twin J.A.P. engined ‘Dorcas’ up Test Hill on 2nd August 1933 in 8.41 seconds (an average of 28.56 mph). Motorcyclists had the more daunting prospect of not only taking to the air but probably parting company with their machines in the process. Nevertheless, they were faster than the cars. 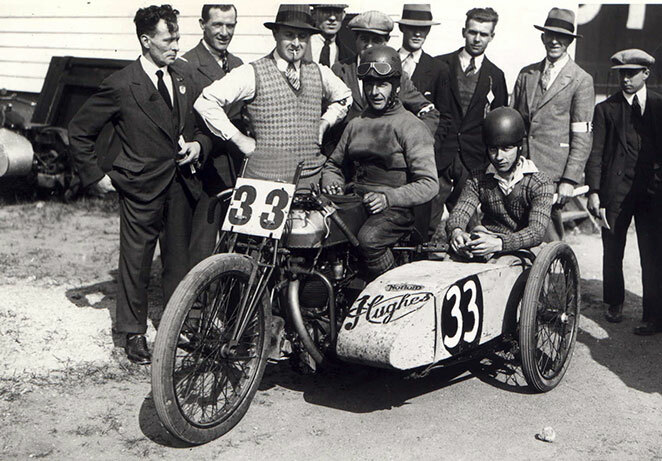 On 9th June 1936 Francis Beart, on a Grindlay-Peerless fitted with a 500cc speedway-type J.A.P. engine, established the all-time Test Hill Record at 6.99 seconds (an average of 34.55 mph). Beart came off on landing, but was unhurt. Aviation activities took place briefly on Members’ Hill when the Lane Gliding School was established at Brooklands by Charles Lane in Spring 1910. Lane built a biplane glider of the Farman type and laid down a starting rail on the slope below the public grandstands to the east of the Test Hill roadway. It was from here that gliders were launched and one of the first pupils was a Mrs Gavin who was making solo flights by July 1910. Otherwise, little more is known of this shortlived enterprise although it was probably the first gliding school in this country.